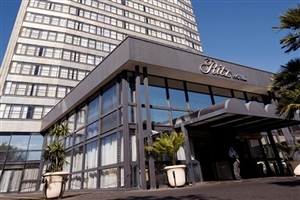 Located just a short walk from the beach and the iconic V&A Waterfront, the chic Cape Town Ritz Hotel offers elegant hospitality in an excellent setting. 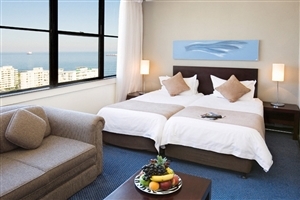 Ideally placed for guests to enjoy easy beach access and stunning views from many of the elegantly-appointed guestrooms, the Cape Town Ritz Hotel further complements its location with generous amenities, including an outdoor swimming pool and even a revolving restaurant. 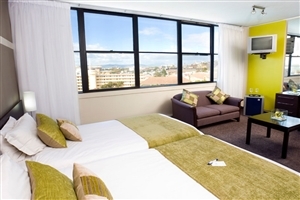 Cape Town Ritz Hotel is located just 25km from Cape Town International Airport. 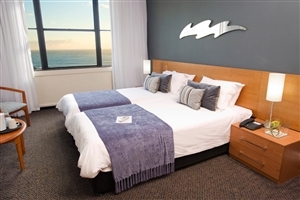 Endowed with some of the finest views of the Atlantic seaboard to be enjoyed anywhere in Cape Town, the Cape Town Ritz Hotel complements its excellent location with high quality hospitality and superb service. 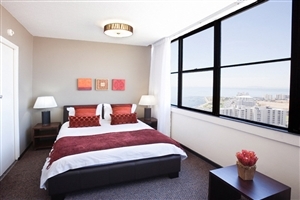 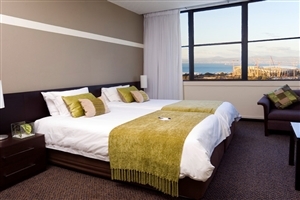 Positioned just a short stroll from the beach and the V&A Waterfront, the popular Cape Town Ritz Hotel is a recognisable fixture of the Cape Town skyline, with outstanding views to be enjoyed across the glorious peninsula. 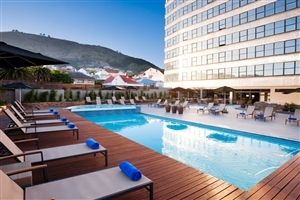 Supplementing its privileged location, Cape Town Ritz Hotel offers airy and contemporary accommodation, while facilities include an outdoor swimming pool and Wi-Fi Internet access. 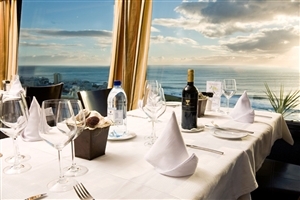 Furthermore, the Cape Town Ritz Hotel has a unique centrepiece in its revolving restaurant, Top of the Ritz, which offers a fine selection of international cuisine, accompanied by spectacular panoramas. 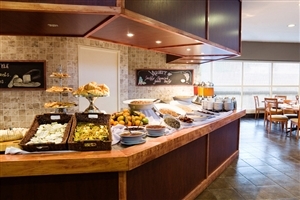 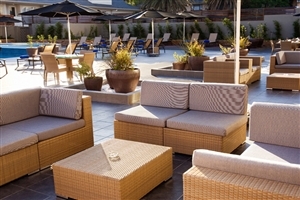 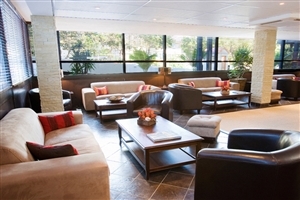 Cape Town Ritz Hotel is located 25km from Cape Town International Airport. 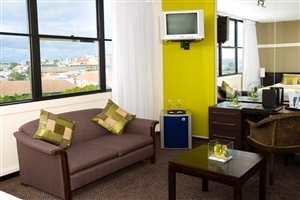 The Standard rooms at Cape Town Ritz Hotel are available with the choice of a single bed or twin-size beds for your comfort, with standard amenities to include air-conditioning, a satellite television and Wi-Fi Internet access. 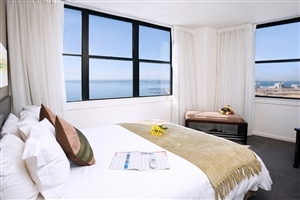 The Deluxe rooms at Cape Town Ritz Hotel are available with the choice of a single bed, twin-size beds or a double bed, and can be specified with stunning views to be enjoyed across Cape Town and the ocean beyond.